Self-Sufficiency – The American dream has never been to live on government benefits. People who can work, should work. We must facilitate the transition for individuals and families to become independent, specifically by partnering with key stakeholders in the workforce development community and holding our recipients accountable for personal responsibility. Integrity – We must ensure our programs are run with the utmost integrity. We will not tolerate waste, fraud, or abuse from those who seek to undermine our mission or who do not take their responsibility seriously. 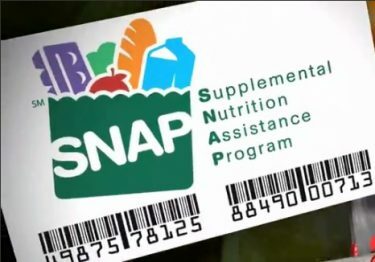 Customer Service – Together, we must ensure that our programs serve SNAP participants well. In order to achieve a high degree of customer service, we at FNS must also provide States the flexibility to test new and better ways to administer our programs, recognizing that we are all accountable to the American taxpayer for the outcomes. USDA’s Food and Nutrition Service administers 15 nutrition assistance programs that include the National School Lunch Program, School Breakfast Program, Supplemental Nutrition Assistance Program, Special Supplemental Nutrition Program for Women, Infants and Children (WIC), and the Summer Food Service Program. Together, these programs comprise America’s nutrition safety net.